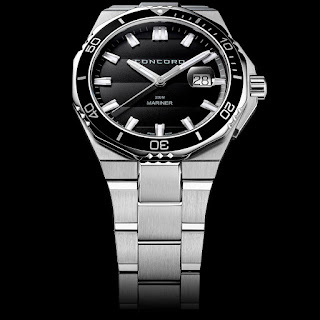 Remember the C1 quantum Gravity – damn that watch was cool. No such luck, today, folks. 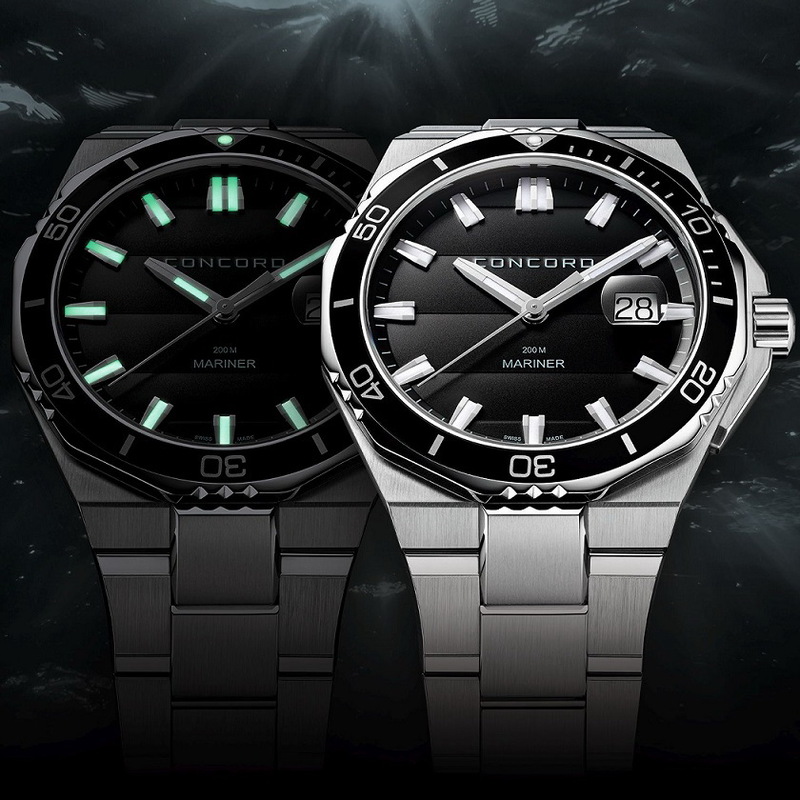 This is the story: Concord has expanded its Mariner Collection to include a new divers model, the Concord Mariner 200, a marine sports watch which will come in three dial colors, black, blue and silver. used to make the crystal dial easy to read while offering a display that is bold and eye catching even in low light conditions. 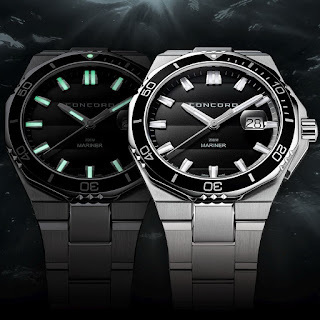 The octagonal case design blends well into the integrated steel bracelet which has a Stainless steel spring deployment buckle with pushers and a safety cover. 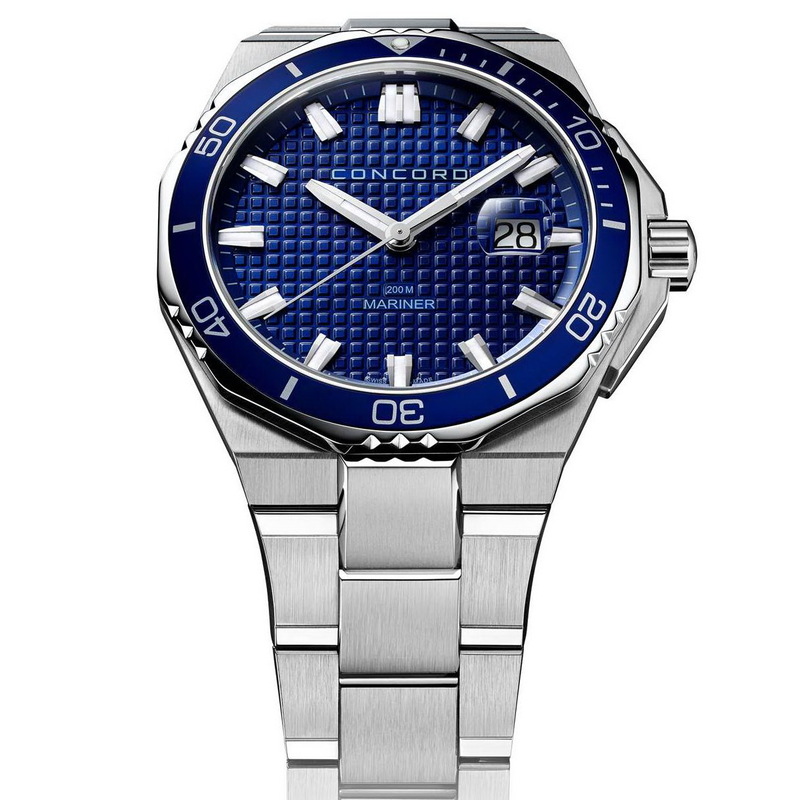 A smoothly turning bezel takes care of elapsed dive-time while completing the overall classic sporty look of this latest diver offering from the Concord House. Concord relaunched its signature 1980’s Mariner Collection in 2014. This iconic collection has been updated to reflect more modern tastes. 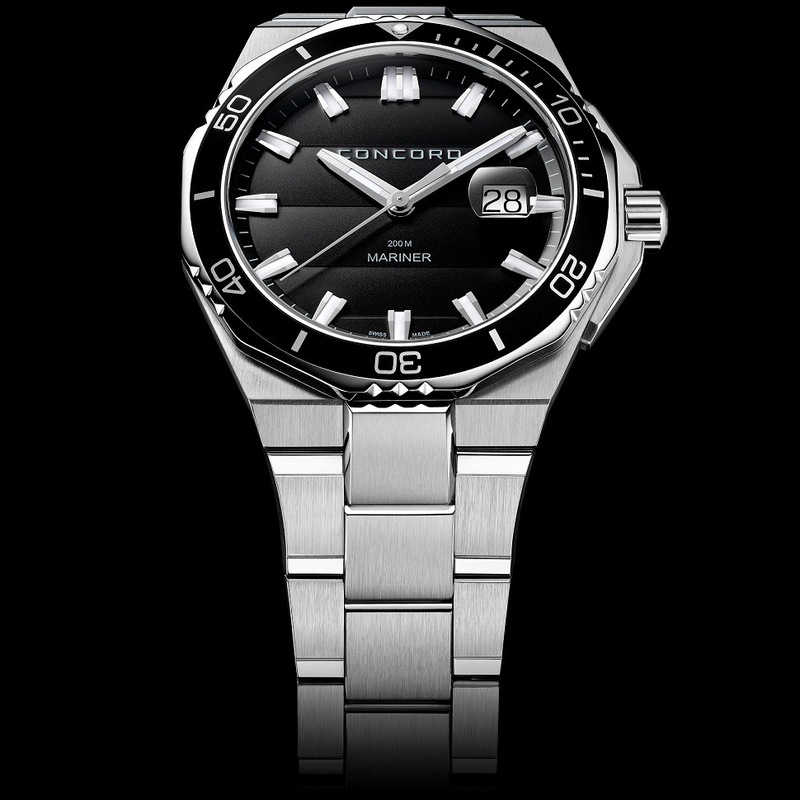 The Mariner 200 is powered by a 7 jewel Quartz ETA caliber. Each Concord Mariner bears a distinctive wind-rose logo, a depiction of the graphic tool used by meteorologists to provide a succinct view of how wind speed and direction are distributed at a specific location.